A new version of Huawei eNSP has been released. What’s new in V100R001C00B210 version? Added IPSec protocol control plane to AR router. Added SSLVPN feature to AR router. Added the function of capturing data on Cloud, FRS, HUB and PC. 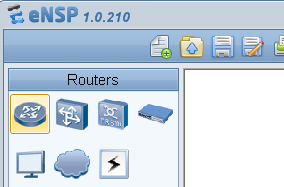 Added a function of opening UDP ports of Cloud. Improved functions of router’s AAA, DHCP and DNS. Besides these new functions, some functionalities have been modified. I noticed myself, during post preparation, that some Frame Relay not stable work has been improved :). This article soon on the blog.